A serial killer is targeting Chicago's worst and most racist high profile citizens. Nighthawk contemplates if he should intervene. Meanwhile Nighthawk protects Chicago from itself and those who intend to arm the people to murder one another. gangs, and the possibility that perhaps it's simply best to let Chicago burn. The undertaking of discussing these massive issues in a comic book is immense yet all sides are shown. 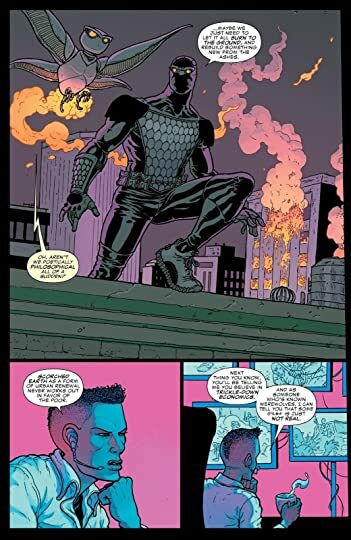 The issue shows good and bad people in all walks of life along with those with questionable actions like Nighthawk himself. 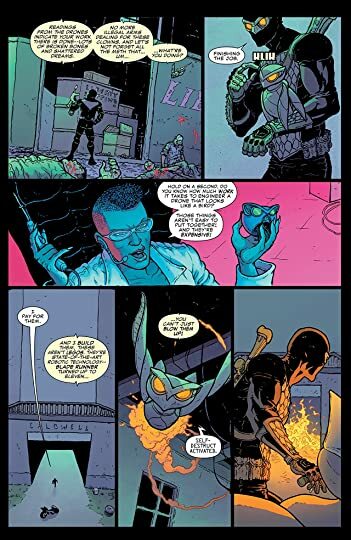 This version of Nighthawk as always reminds me of a deadly version of Batman. 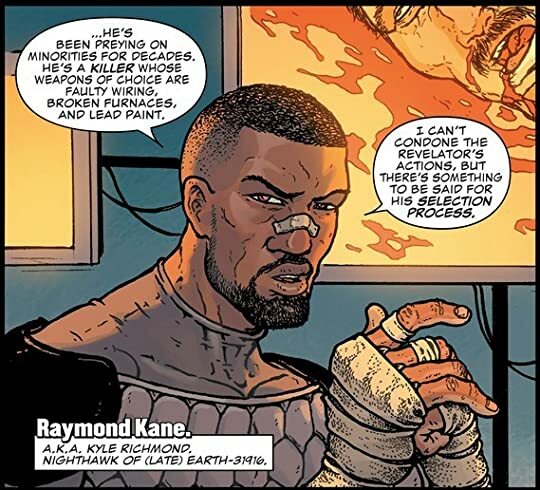 In this comic I felt as though he was clearly a mixture of Batman and the Punisher. Nighthawk like Batman has a command center, someone to assist him from afar, and a slew of expensive high tech gadgets. He's like Punisher in that when he has the opportunity to end a problem he ends it instantly rather than providing it an opportunity to strike again. It was interesting to see Nighthawk deliberate over how to handle the serial killer taking out Chicago's worst. 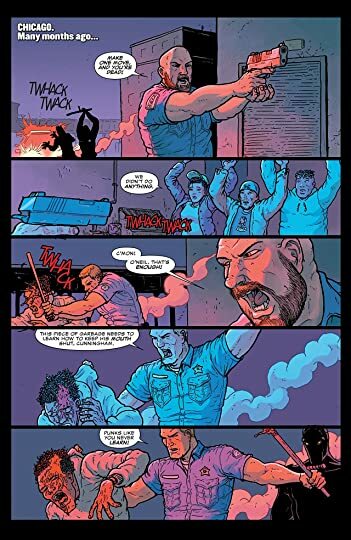 Nighthawk seemed a wee bit hypocritical in that he went after the serial killer even though he himself killed similar people for similar reasons. 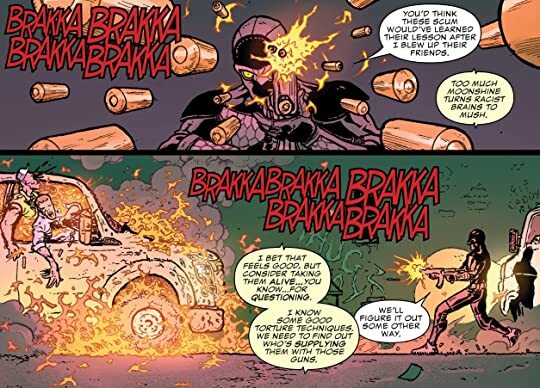 I guess the difference is that Nighthawk never went out of his way to kill someone, he only killed those trying to kill him first. 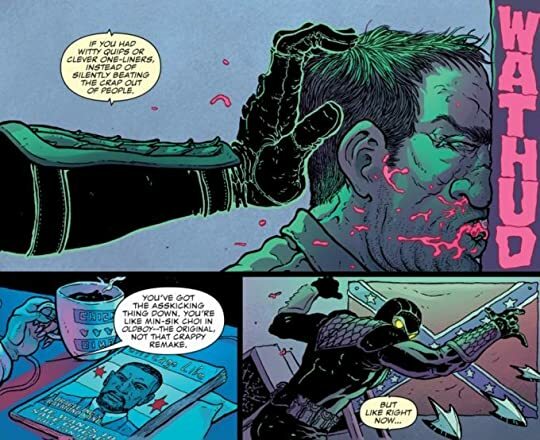 Nighthawk is not for the faint of heart, but it's a good volume for those who enjoy real life political problems in a comic book world.